We have three great sponsors for April and there will be three (3) winners this month! Green Fairy Quilts is a wonderful online quilt store that offers precuts, patterns and notions at prices that just can't be beat. They are my source for precuts and thread - shipping is fast and the selection is wonderful! 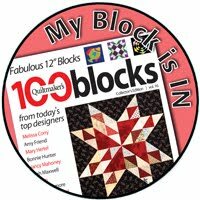 Make sure you sign up for their newsletter and check out Judi's amazing quilting on her blog. 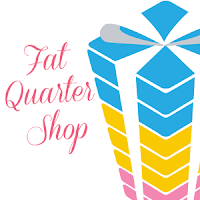 Green Fairy Quilts is offering a $15 gift certificate to one lucky participant! 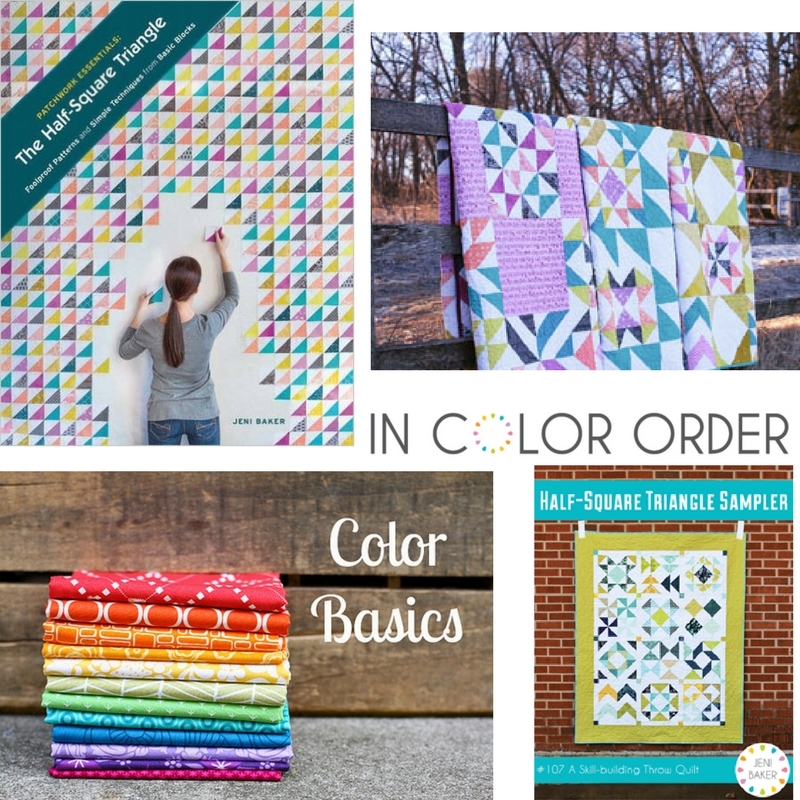 I'm thrilled to introduce Jeni Baker of In Color Order as our OMG Designer for April. My first introduction to Jeni came through her 2012 QAL all about the half-square triangle (HST). (My quilt Sea Glass was made from her QAL.) One of my favorite parts about the QAL was that I could make up the HST ahead of time and then quickly have the finished block once the HST block was revealed! Jeni is a wonderful designer and I am in love with her use of color in her quilts. 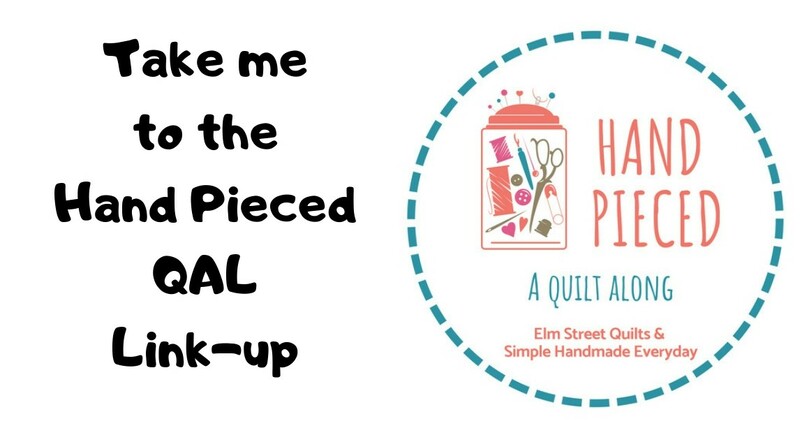 Her website has a wonderful series of tutorials on quilts, bags and other quilting topics. My favorite is the Art of Choosing tutorial series that talks all about fabric selection and color. 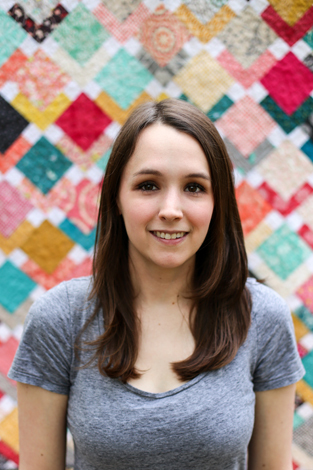 Jeni's work has been featured in many publications. Her most recent book The Half-Square Triangle is available on Amazon. Her patterns are available in her pattern shop. Credit for photos to Jeni baker; photos sourced from In Color Order. Jeni is offering three (3) downloaded PDF patterns of the lucky winner's choice! Look forward to seeing what you do with your churn dash! 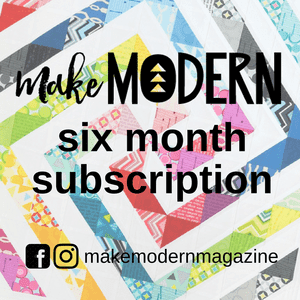 Your churn dash quilt is delightful! I absolutely LOVE that it is in a variety of sizes. It adds so much character to the quilt! 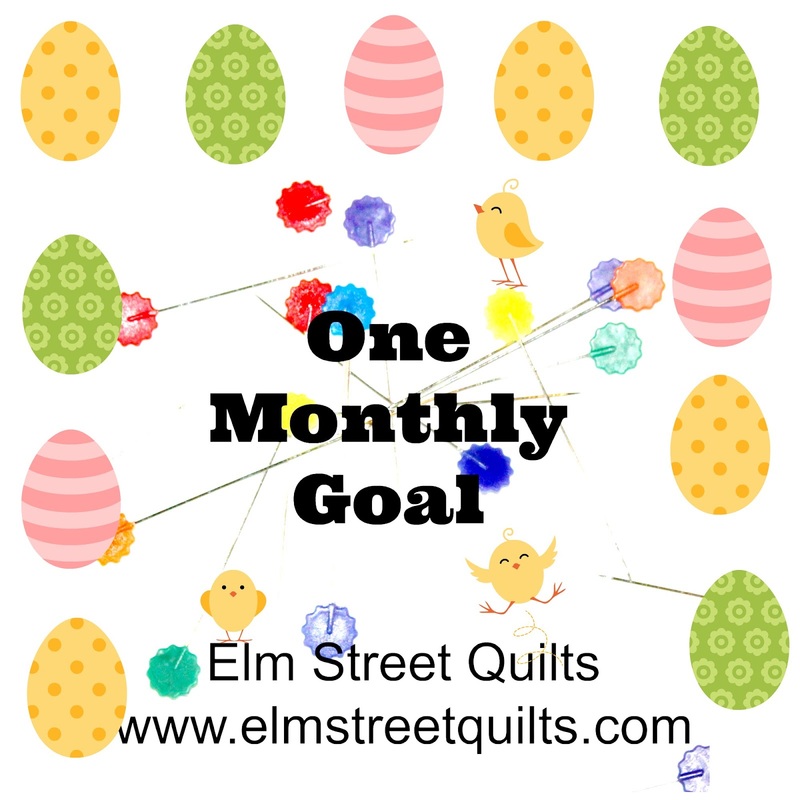 Thanks for hosting one monthly goal. I didn't get mine done last month but I did finish many other things so it is ok.
That's a great churn dash, a little different from the usual. I like it! Thanks for another wonderful month of goal making. Good luck with finishing off your Churn Dash quilt. It's a beauty. That is a beautiful quilt. I love those fabrics! This is my first time to enter your One Monthly Goal party. I look forward to seeing what everyone accomplishes. Your Churn Dash quilt will be one I keep an eye on as I really love those blocks. Thanks for hosting what looks to be a fun endeavor. Beautiful fabrics in your churn dash, looking forward to seeing it finished. Thanks for the OMG fun, I'm getting quilts done. Your quilt does not look at all like a scrappy quilt. I am forward to seeing how you quilt it.